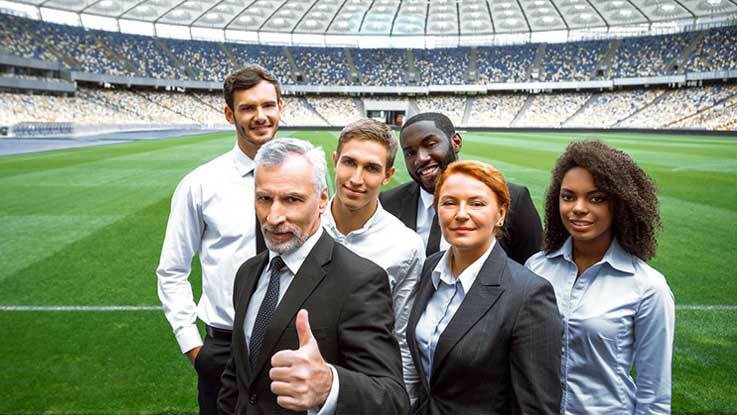 A career in the world of sports could be a breeze, and there is as an ample array of choice from which to choose, ranging from Sporting Events Organizer to Sports Reporter. Our study programme will prepare you for any sports management position – all you need is imagination and the desire to combine your passion with sports management, to achieve a secure position in the world of sports. Marbella has one of the best climates in Europe, which has led to the creation of an infinite number of infrastructures for practicing various sports, from water to mountain sports. Here you will find the most modern facilities in all of Spain, along with all that ensues from such an environment: professional and amateur teams, fans, broadcasting stations, partners and more from the sports industry. This atmosphere makes it easy for our students to have internships in local, national and even international companies. This is the ideal opportunity for our students to gain valuable and useful experience whilst following their passion. Employees usually then hire those students who have left their mark. Our study programme combines Sports, Sports Science with Business, Finance, Marketing and Law. This combination is all that is required to have a successful future in all facets of the sporting world. There is no need to be a great athlete to follow this study programme. But you do have to have a passion for sports, as companies are seeking people with knowledge. Before entering into the world of sports management, it is essential to learn from the best, so that they can best set you on your path. 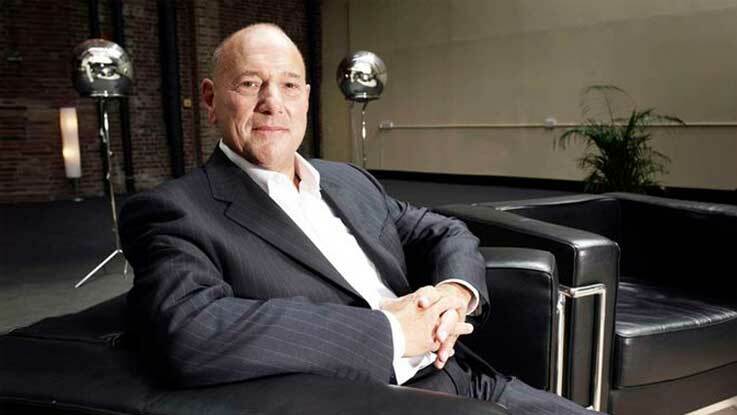 Our study programme bears the name of the famous Executive Director Claude Littner, because we aim to transfer only the best there is to our students, future executives and sports reporters. And there is no one is better than the famous 1993-1998 Chief Executive of Tottenham Hotspur to help them reach their goals. The degree we offer allows our students to participate in practical internships in both national and international companies at the end of every year, to gain experience. Over the course of the first academic year, the students will have the opportunity to study all the aforementioned branches: Introduction to Sport Management, Sports Science, Economics, Business, Marketing, and Psychology – of great importance as well, as this career path deals directly or indirectly with people and thus some basic knowledge of psychology is essential. Last, but not least, our students may attend the following language classes – Spanish, French, English, Chinese and Arabic, as it is advisable to have a broad knowledge of other languages if maximizing your success is the goal. Following a year of accumulated knowledge comes the moment of putting it all into practice, with the possibility of national or international internships, which will allow you to get to better know the external sporting world. The second academic year will see a more detailed study of the courses previously mentioned, such as Sports Business, Sports Marketing and Promotion, Organizational Behaviour, Law and Ethics in Sport, Fundamentals of Sport Analytics, Digital Marketing and various other elective courses such as languages, Business Environment, Consumer Behaviour, and Digital Business. All these courses will assist you to gain knowledge, cementing all you have learned with our excellent professionals, who, through their examples and stellar international experience, will make learning with them a breeze. Experience has shown us that combining the study of sports with other branches such as business, which will open the doors to your dream future. The more knowledge you have of this world, the more you will be able to adapt to other environments, as you will be learning from our expert professors at our University. The final year of this study programme will be dedicated to the study of international environments with courses such as International Sports Management, Public Opinion and Persuasion, Sport Leadership and Governance, and Sport and Media, and you will be given the opportunity to choose elective courses such as Managing International Teams and International Business Strategy. With all the knowledge and experience gained during these three years, along with the internships, it will now be up to you to put to use all you have learned. Should you wish to have additional information concerning this programmes, or the multiculturalism of our University, our location, please do not hesitate to get in touch with one of our advisors, who will expertly advise you and response to any queries you may have.